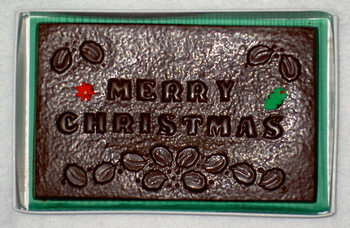 Chocolate holiday “cards,” decorated with holiday icings. Phrases include Noel, Merry Christmas, Happy Holidays, and Season’s Greetings. Approximately 4oz.